Is NET Right for You? *Offer Valued at $175! Sign up below or call us at 805-468-4437 today! A person cannot have optimal health without taking care of their body through proper nutrition. That is because every part and process of your body relies on nutrients, which you obtain mostly through your diet, to function correctly. So while that steak meal or pancakes might taste good, it is important to consider whether the food you eat is fueling your body. And if you are taking other measures to improve your health or combat an injury or health condition, make sure that nutrition is part of your focus as well. Your body’s organs, components and systems are fueled by nutrients – mainly carbohydrates, proteins, fats, vitamins and minerals. For instance, your body gets most of its energy from carbohydrates and fats, which give your organs cushioning, among other roles. You get most of your nutrient intake from the foods you eat, which is why nutrition is so important. To properly fuel your body, you need to give it enough of each major nutrient. In addition to what you eat, how much you eat matters. If your body is not getting enough of specific nutrients, certain organs or systems might have trouble working correctly, which can lead to serious health problems. In addition, you need to find the right balance of calories, and limit certain ingredients, such as sugar, to manage your health and your weight. A common occurrence is that people will focus on exercising but not on a healthy diet, or they will look to natural treatments to improve health while ignoring nutrition. But to create a preventative plan to stay healthy or a treatment plan for a health condition, it is best to focus on holistic health, which encompasses numerous aspects of health that could be contributing to health problems or holding you back from prime health. Nutrition needs to be part of a holistic health plan. Without proper nutrition, your body will not be able to reach its healthiest state or have the best ability to fight a health condition. Nutrition along with other treatment options will give your body its best ability to be healthy. 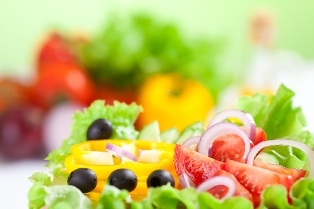 Nutrition is a major part of helping your body recover from injuries and health conditions. For example, your body needs protein to repair tissue in your body, so protein will help with an injury that damaged tissue. Also, it is well-documented that nutrition is connected to major health concerns, such as heart disease. 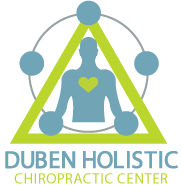 At Duben Holistic Chiropractic Center, we include nutrition within our holistic treatment plans to help people in the Westlake Village, CA area with back pain, headaches and other problems. Our services include chiropractic techniques, applied kinesiology and neuro emotional technique, along with nutrition lessons. Learn more about nutrition by reading the lessons in the frame. You can also feel free to call our Thousand Oaks chiropractic clinic with your questions and to receive personalized answers.